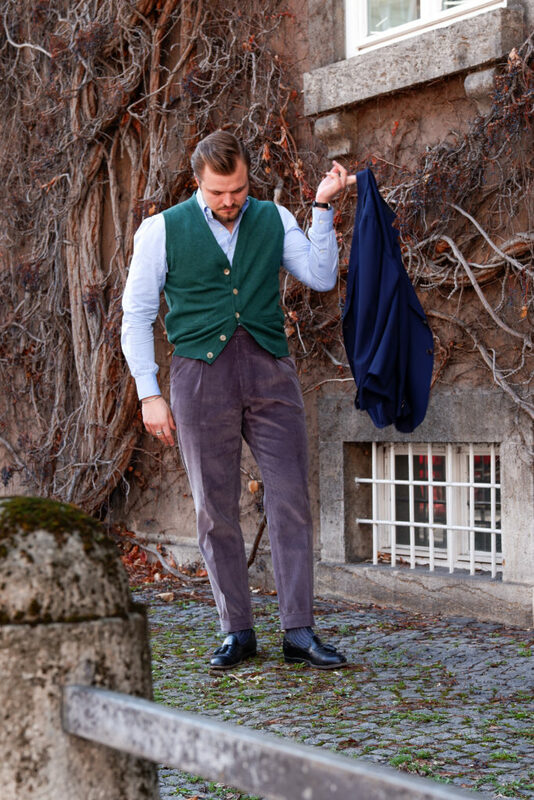 As many have asked what I think of Natalino, I thought it best to share my thoughts through pictures and a few words on what makes this probably the best RTW wear brand I have tried to date. Natalino is a London based online brand founded by Nathan Lee in December 2018. The brand produces a curated collection from manufacturers in the UK, Japan and Portugal. Through directly selling to the end customer, Natalino is able to sell its products for a much lower mark-up price than the market standard. According to their webpage, the aim of Natalino is to offer exceptional products without compromising on their style and detailing for the customer to enjoy. Currently the collection holds long sleeved polos, oxford and denim shirts, knitwear, a raglan coat and a well selected trouser collection based on seasonal trends. Our aim is to offer exceptional value without compromising on style or detail. One item that stood out the most amongst the lovely collection were the trousers. 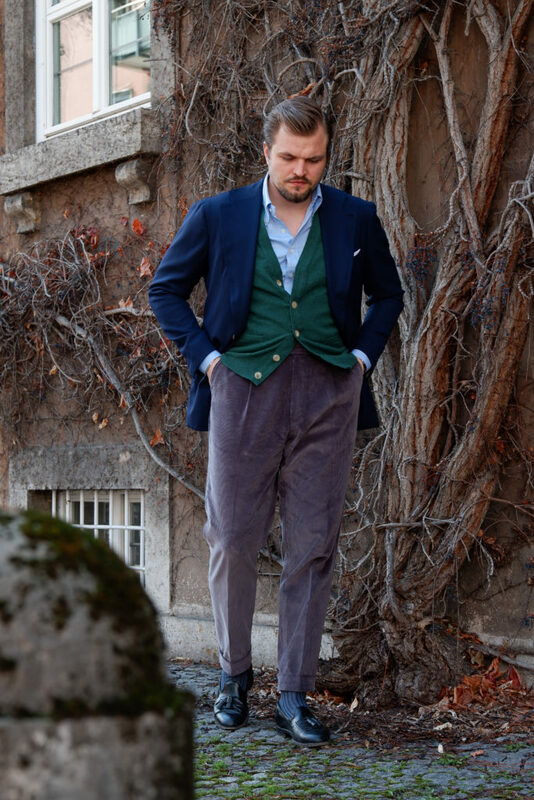 Normally, I would take a big U turn around trousers as they come rather slim and force me to take a size up with all sorts of changes, however, Natalino seemed to know about this problem. Their trousers come in a high rise (which I missed on so many brands) and with it also a generous width on the thigh. 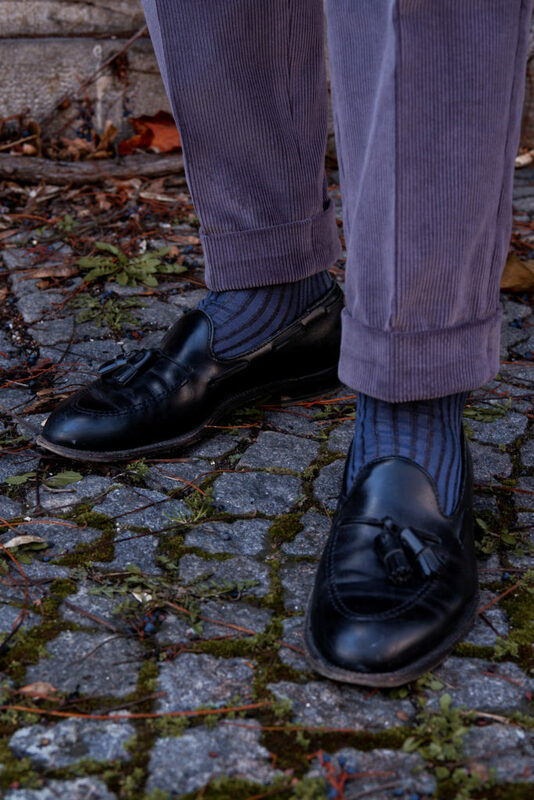 Following down, the foot-width is tapered making for a beautiful silhouette when worn. Regarding the details, Natalino did not spear them. The trouser features side adjusters a longer zipper, pick-stitching, a 5cm cuff and a single pleat making it a versatile piece in any wardrobe. My choice was the grey corduroy trouser which would make a great addition to my winter wardrobe. On arrival and the first time wearing it, I noticed a beautiful change in color which was brought out by the wale of the corduroy. Now, after having worn the trousers I know that the color differs between grey and a hidden purple. The choice of outfit in the beginning was quite difficult. However, if you treat it like your grey flannel or fresco trouser, the combination possibilities are coming to life. Colors like white, brown, blue, green and grey make good companions. Having tried the trousers on, the only real change to be made was the shortening of the trouser. Personally, this was a relief because the shortening of the trouser also meant 1cm more width on the hem. This was my personal preference as my calfs do need a bit more space for a cleaner fall in the leg. However, overall the fit of the trouser is quite impressive given that it is RTW and only the length had to be adjusted. 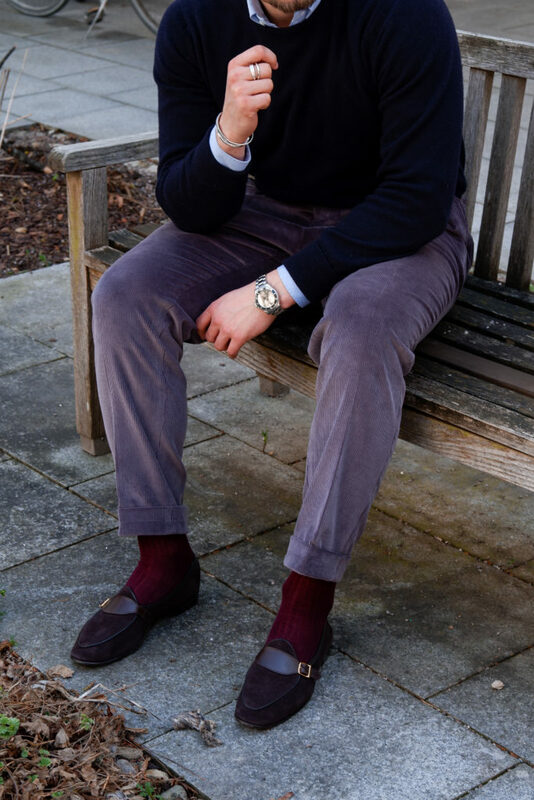 To me, these are by far the best fitting RTW trousers I’ve had the pleasure of trying on in the last years and I have already purchased the cream cotton chino which will arrive soon as well. 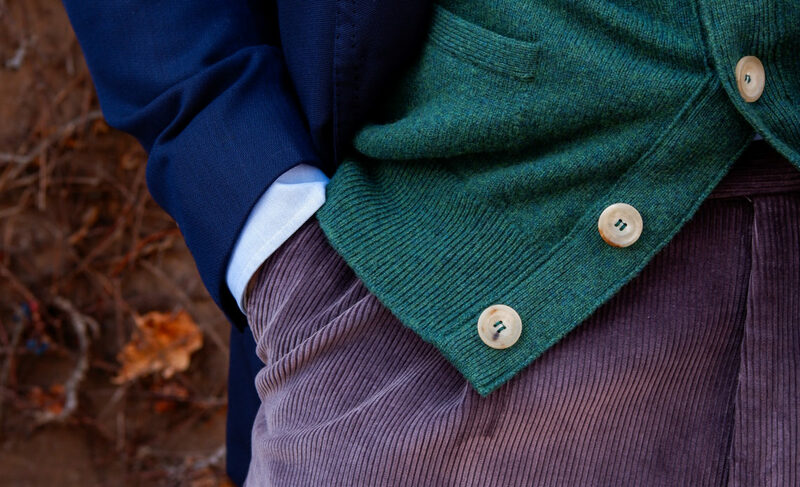 The jumper is made out of Lambswool instead out of the market’s preferred merino wool. It therefore feels heavier, even more rugged allowing to keep you warm in the winter months. The fit was good. I had to size down from an XL to an L which felt like a compliment. The band on the bottom is very elastic and slim fit, allowing you to wear it with the high waisted trousers of the collection. Another detail I really enjoyed, was the rollable cuff which gave a simple yet cool detailing to a mainstream jumper. 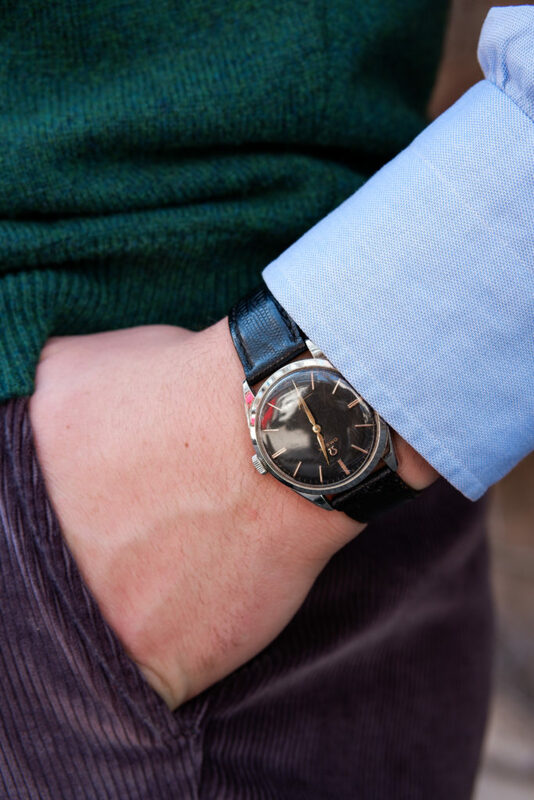 The market standard usually only offers cuffed jumpers with the stretch band marking the sleeve length. 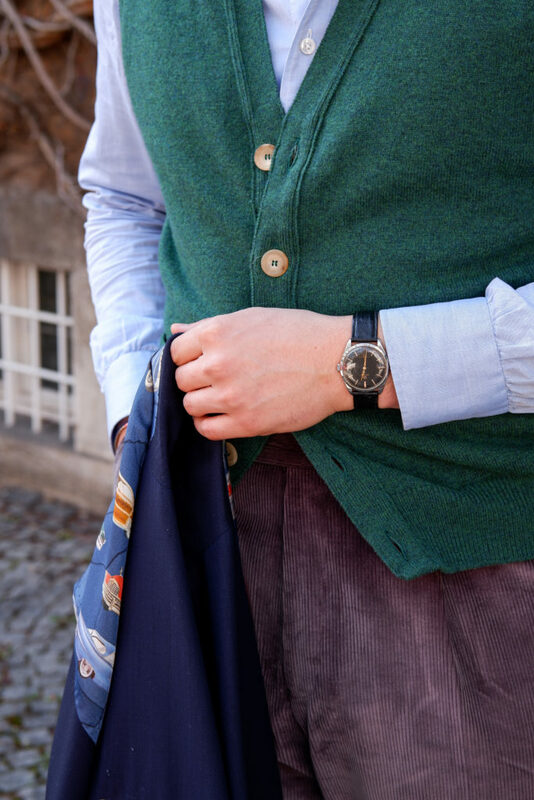 Natalino knows, that a jumper is a casual item and made it more relaxed through tiny details such as the cuffs. All in all, the jumper was of exceptional quality, good fit and the price isn’t mind-blowing but rather honest. I chose to go for a classic navy in order to pair it with multiple outfits make it an essential wardrobe piece. In conclusion, Natalino has created well curated items for the everyday gentleman making sure to keep the classic roots with modern silhouettes and timeless essentials. Since 2018, the brand has provided us with affordable classic menswear staples that are seasonal yet timeless. The fit is remarkable and I am happy to say that they won me over as a regular client. I’m excited what they come up with for their summer collection launching soon. Head over to www.natalino.co to check out the whole collection. For inspiration, also head over to their instagram @natalino.co. For any further questions about styling and fit either send them a DM (they always answer!) or leave a comment under this post. Always happy to hear and share thoughts.